Do you love bread? 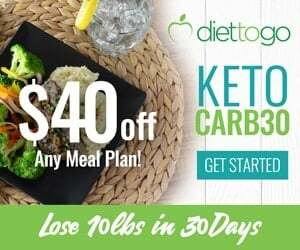 It’s probably the #1 food that people miss the most when it comes to following a low carb diet. 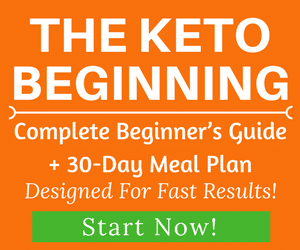 There are many keto bread recipes but in our opinion, this is probably the best keto bread substitute ever. Here’s why: This one is simply amazing, delicious and it doesn’t taste so eggy like other bread recipes. It is light and fluffy and tastes almost flavorless. You can top it with sesame seeds. It can absorb egg yolk and not gritty. This is probably the closest to a normal bread you can get. You can use this recipe to make normal bread or subway bread with ham, bacon or meat balls. You can sprinkle some seeds and toppings such as some salt flakes and herbs on the bread before you take it into the oven. 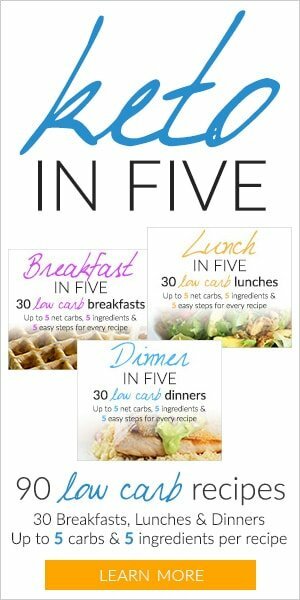 If you make this recipe into 6 pieces of bread, they each contain about 3 g of net carbs. Now you can have room for creative filling ideas such as chicken pate, smoked chicken, salt and pepper grilled chicken, Tuna or meat balls, ham and bacon like a subway sandwich. 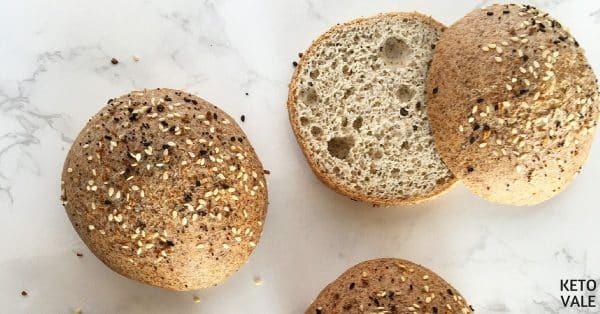 You can also use this recipe to make the perfect Keto Hamburger Buns like what our friend Hannah from HealyEatsReal.com did here. You definitely want to follow Hannah on Instagram @healyeatsreal for more amazing original real food recipes as well as healthy living tips. Our friend Emma from @lowcarbmalta just shared with us her version of Home Made Gluten Free Hamburger Buns. Mix all ingredients and divide into 6 pieces and shape each into a ball. Flatten the ball so it’s about 1 centimeter thick. Glaze with egg yolk and sprinkle sesame seeds on top of the bun. Bake for 30-40 minutes on 175C (350F) degrees. Enjoy! Note: Some psyllium husk powder brands might make the dough turn purple when baked. It also depends on the order and method you use to combine the ingredients. However, it doesn’t affect the taste. 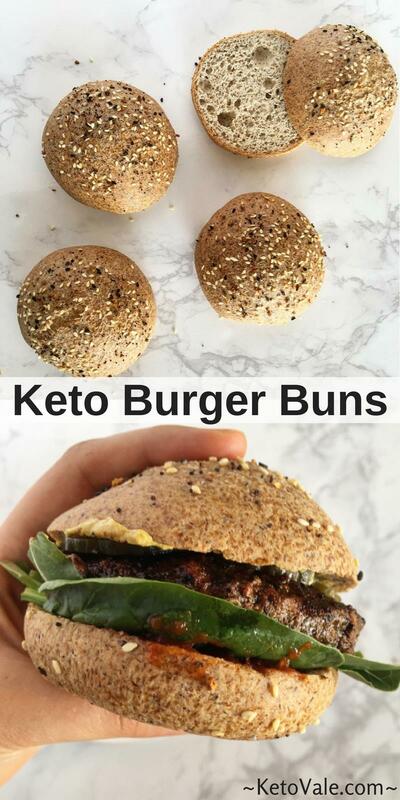 If you don’t want to use psyllium husk, you can try xanthan gum instead, like these Keto Hamburgers. Make this bread in the weekend, get a cup of coffee, sit outside in the sun and enjoy your morning. What a lovely way to relax! While preheating the oven at 350°F, start combining the dry ingredients in a bowl. Boil the cup of water and pour this into the bowl. Mix in the egg whites and vinegar as well. Beat the ingredients together with a hand mixer for around 30 seconds. Avoid overmixing. The outcome should have a Play Doh-like consistency. Moisten your hands and shape the dough into 4-8 pieces. 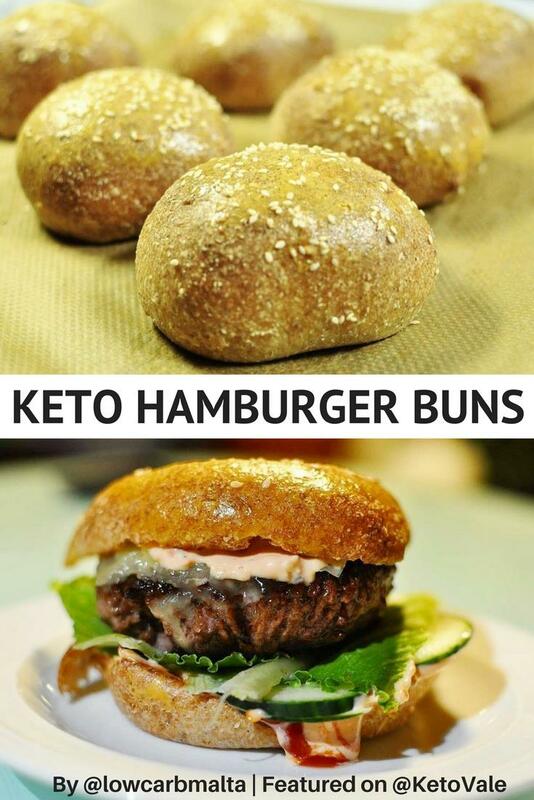 You can mold them into hamburger or hot dog buns, depending on your preference. Lay the formed dough on a baking sheet greased with oil. Place the sheet on the lower rack of the oven and bake for 50-60 minutes. Time depends on the size of the bread you made. Check if done by tapping the base of the bun. If you hear a hollow sound, remove them from the oven. Serve together with some butter or your favorite toppings. Keep them in the fridge or freezer. Love this bread recipe? Please share this post! Have any question or feedback about this recipe? Let us know in the comments below! This recipe is inspired by Maria Emmerich. Maria Emmerich is a wellness expert in nutrition and exercise physiology. 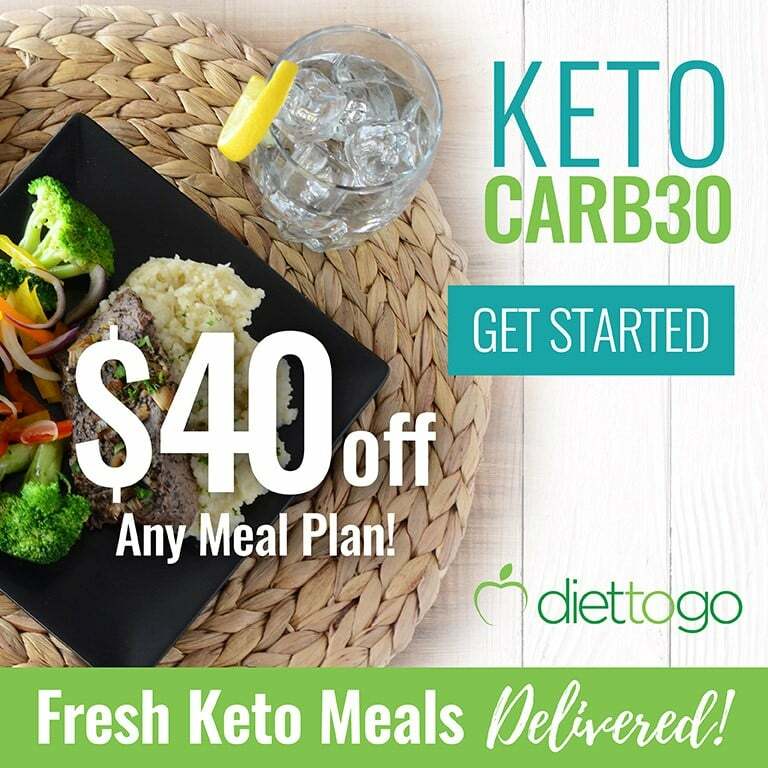 She shares her passion and helps others achieve their health goals. 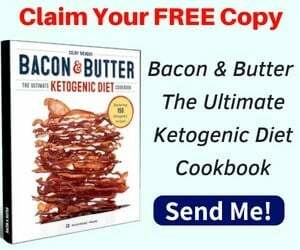 This recipe and many other innovative options are available in her cookbook The Art of Healthy Eating - Savory and Keto Restaurant Favorites as well as The 30-Day Ketogenic Cleanse.